We can help you with any PC, Laptop or Console issue, as well as getting rid of viruses and malware. We offer a full diagnosis, repair and support service and pride ourselves on customer service and no jargon. Whether your laptop screen is broken, the keyboard isn’t working, the screen is blank, your computer is running slowly, or there are viruses, we are here to help you. We stock a range of PCs and laptops for home, office and gamers requirements, and can provide advice to help you choose a new computer. If you are looking for something specific and we don’t have it in stock we will always try and source the item you require or can custom build a PC to your exact requirements. We custom build PCs to your exact requirements, whether you know exactly what you require or if you are not sure, just simply tell us what you use the PC for and we will create a system for you, working out the best for performance and budget. We build and test all systems and offer a minimum full 1 year warranty on all parts. accessories, keyboards, mice, printer ink, cables, discs, USB sticks and components. 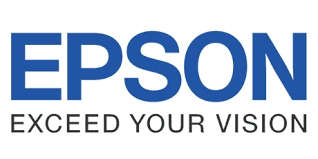 Quality Epson Compatible Inks at Great Prices! If your computer or console is giving you problems, or you need accessories, cables, printer ink, antivirus software or you need advice why not pop in and see us.